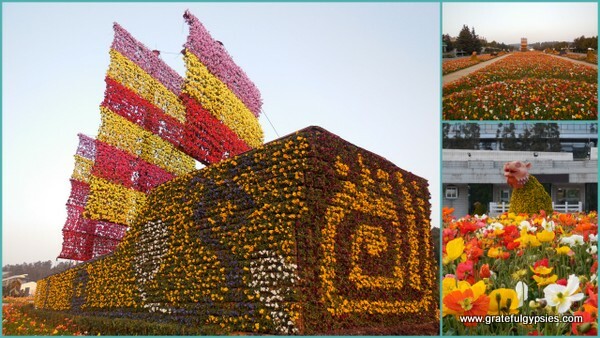 Kunming is the capital city of Yunnan province in SW China. It is known as the ‘Spring City’ for its mild and pleasant weather year-round. Six million people live here, many of them belonging to China’s ethnic minorities. Most people use the city as a jump off point for exploring the rest of Yunnan province or getting to SE Asia and as such only stay for 1 or 2 days. We think there are several things worth doing and seeing here so we’ve compiled a list of ten for you. 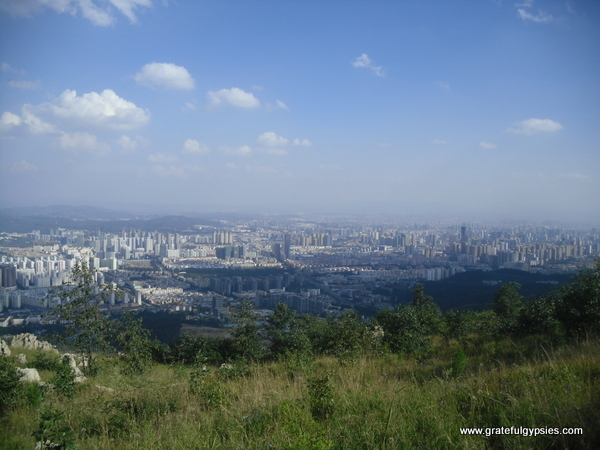 Have you ever been to Kunming? What did you do there? First built in the 17th century this park is free and open to the public. 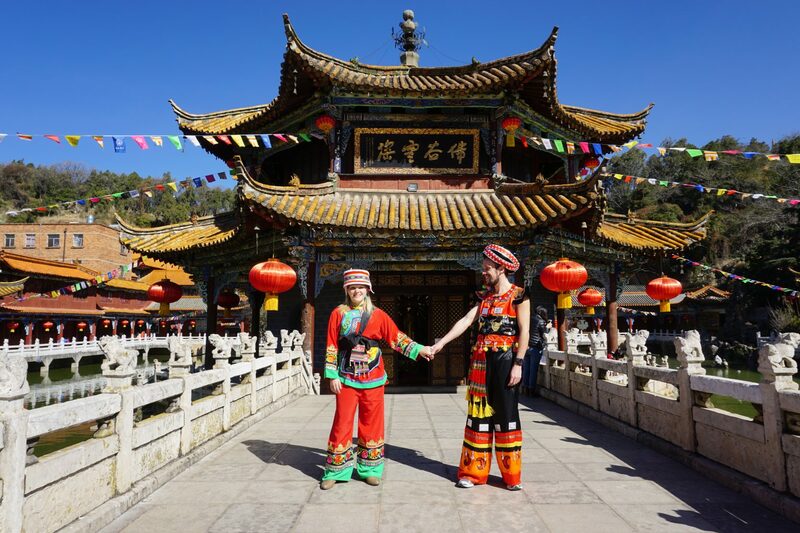 On the weekends it is bustling with many people, most of them ethnic minority people dressed in their traditional costumes singing, dancing and playing instruments together. Come in the winter time to see the seagulls that flock here to escape the terribly cold Siberian weather. You can also watch locals playing intense games of cards and chess or rent a boat and float around on the water. Our favorite area of the park. Lots of seagulls in winter. This is the most important Buddhist temple in Kunming. 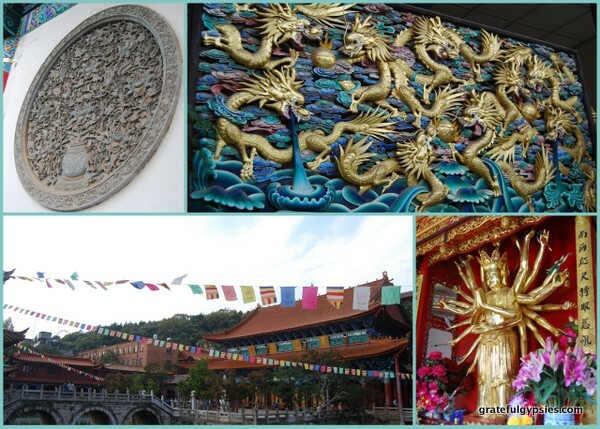 Many Buddhists from around the country make a pilgrimage here to pay homage. It was first constructed more than 1,200 years ago. This temple is unique in that it descends from the entrance to the main hall rather than ascending like most other Buddhist temples. The main hall is surrounded by a beautiful lake full of fish and turtles. We even took some of our engagement photos here. At just 6 RMB (about $1), it’s well worth a visit. One of our engagement photos in front of the temple. This is an alleyway near Green Lake Park that is very popular and trendy. There are many different shops and restaurants here. 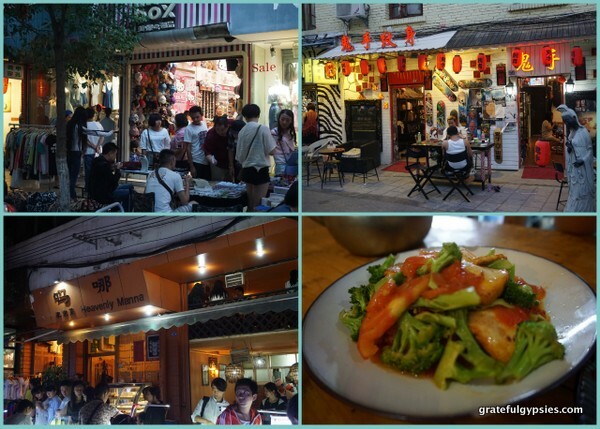 Two such places were some of our favorites for eating and drinking in Kunming. Salvador’s Coffee House has delicious western fare with American size portions so if you’re having a craving for western food and you want your own massive plate, this is the place to go. They also have an excellent happy hour from 4pm-8pm every day, a great place to begin your evening out. Just next door is one of the best restaurants in the city – Heavenly Manna. This place is known for its authentic Yunnan dishes, such as the tasty “old grandma potatoes.” We would always take our visitors here to introduce them to real Yunnan food. This is a huge market in the main shopping area of the city center. And you guessed it, they sell birds and flowers. But that’s not all. It’s probably the craziest pet shop we’ve ever been to. 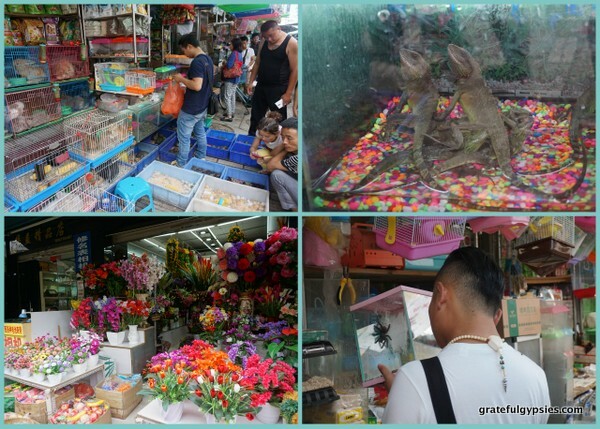 You can also buy puppies, kittens, squirrels, lizards, spiders, chipmunks; almost any type of small animal you can imagine is sold here. There are also several stalls selling souvenirs and other handicrafts. It’s a great place to buy gifts for friends and family back home but don’t forget to bargain. Scenes from the Bird and Flower Market. This is a great place to spend an afternoon especially if you want to check out Dian Chi (Dian Lake), the largest lake in Yunnan province, without going too far from the city. There’s also an amusement park there with a massive Ferris wheel that has great views of the city from the top. 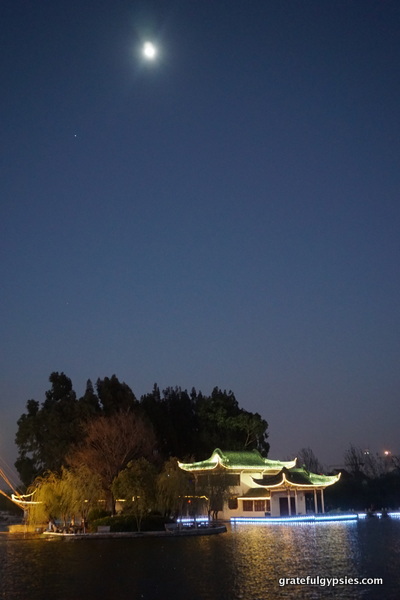 There are several festivals here throughout the year, including a Lantern Festival during Spring Festival. You can get beautiful views of the Western Hills from the Grand Pavilion which also has the oldest couplet in China on display. 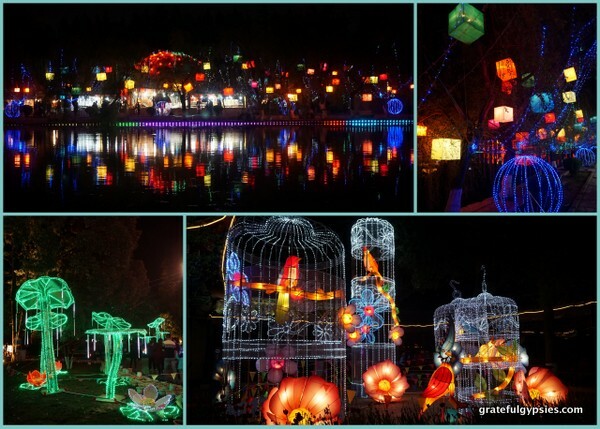 Lantern Festival at the park. The moon rising over the lake. These places are very near one another and there is a cable way connecting them. By buying a combo ticket you get a little bit of a discount. Go to the Golden Temple first then take the cable way down to the Expo Garden. The total price is 160RMB/person. 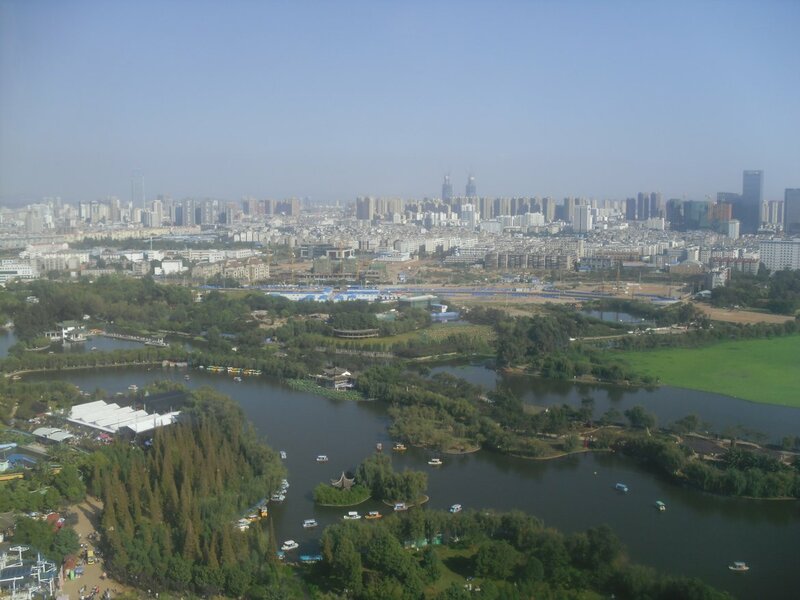 A ticket to the Expo Park alone is normally 100RMB/person. 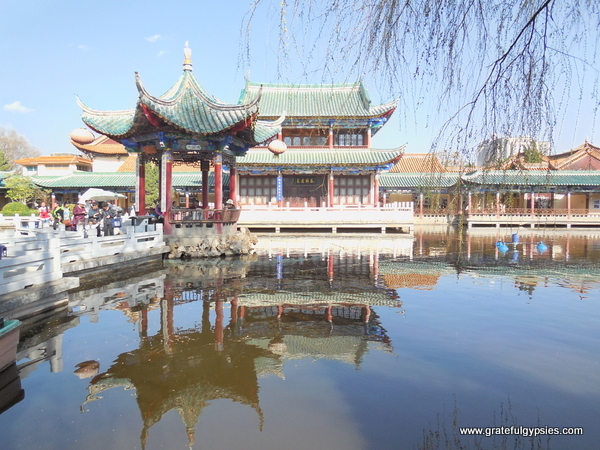 They built it for the World Expo in 1999 and many of the gardens are still well maintained. The Golden Temple got its name because it is mostly made from copper and glistens in the sunlight. 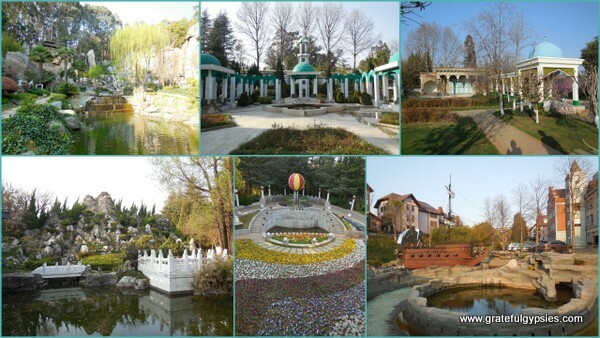 There is a cool park surrounding it that you can walk through with nice statues to admire, lovely flora and fauna and a bell tower with a nice view at the top. There are also a few different gardens on display including a cactus greenhouse. Images from the Golden Temple. At the top of the mountain is a scenic area with the Dragon Gate. The hike up is quite nice and you can get some exercise too. We walked all the way up from the bottom which is totally free, however there is a tourist bus if you’re feeling lazy. There are some temples you can stop at and look in on the way up but many of them require a ticket. There is a combo ticket available, but we opted to skip the temples and save money. 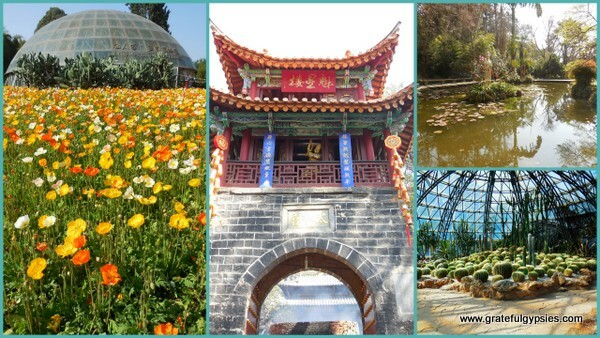 The entrance fee for the scenic area at the top is 40RMB/person. In our opinion it’s worth it because the walk up to the Dragon Gate goes through a tunnel that was carved into the side of the mountain. 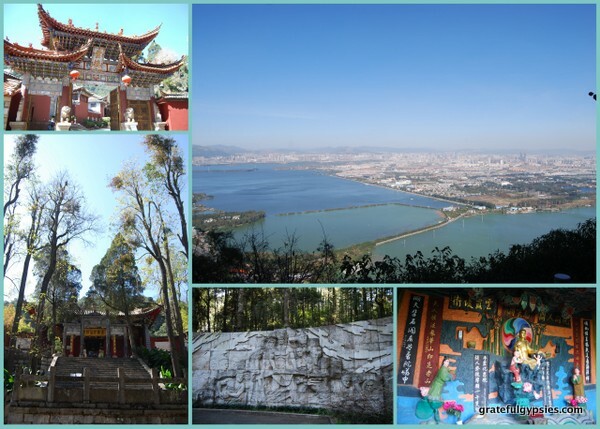 There are shrines also carved in along the way and views of Kunming and Dian Chi are spectacular. We took the rope way down that goes over a miniature Stone Forrest to the entrance of the scenic area and then took the sight seeing bus down to the bottom of the mountain. 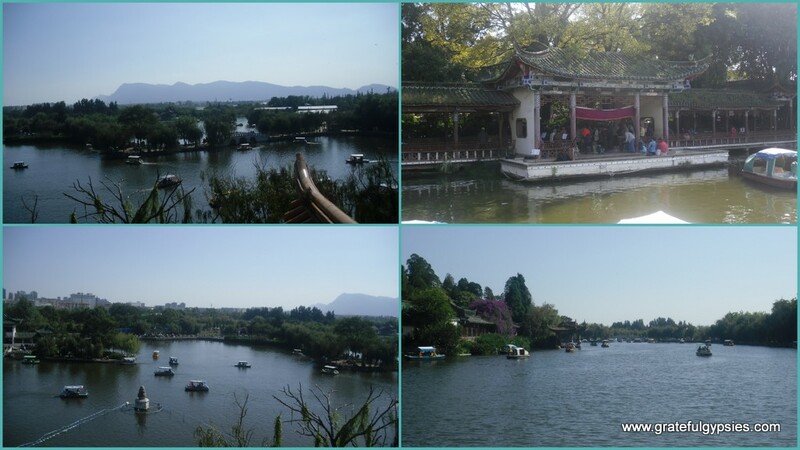 It’s possible to take a cable way across Dian Chi to the Yunnan Nationalities Village which is another spot you could tack on to your afternoon, but we never went there because places like that tend to be human zoos in China. Scenes from the West Mountain scenic area. This is a dance and acrobatics performance that’s put on every night in Kunming. It showcases Yunnan’s ethnic minorities and depicts many of the 18 oddities of Yunnan province. No pics are allowed inside so you’ll have to go see it for yourself. 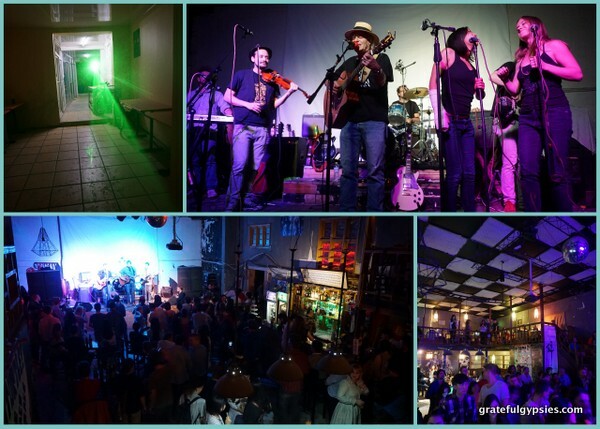 This is our favorite live music venue in the city. They have music every night of the week except for Monday, the one day they are closed. They have very reasonably priced drinks and pretty good pizza. Every Sunday they have a garden party in the afternoon where you can buy delicious homemade bread loaves made by Ian, a German expat and longtime Kunming resident. There are also foosball and pool tables that are free to use. 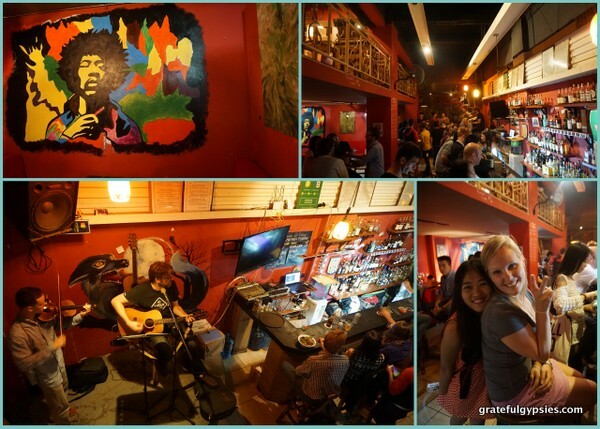 Moondog is one of our favorite bars in town. It’s definitely a dive but they have great whiskeys and chilled out live music most nights of the week. 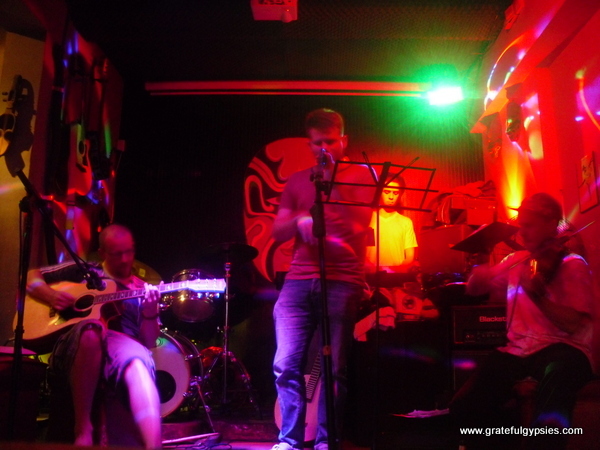 It’s located near Kundu Square, Kunming’s main nightlife hub. That is where you can find the Mask, another small dive also with live music and good drinks. 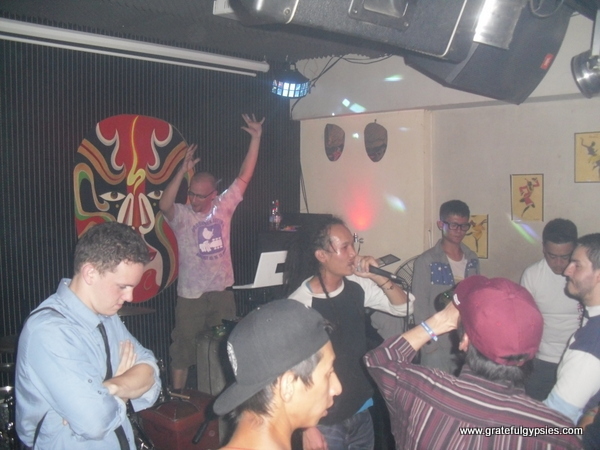 This sequence is the standard night out in Kunming, and has the tendency to go until the wee hours of the morning. *Update – Moondog no longer exists, unfortunately. The owners sold it to pursue other ventures. There is still bar there, but we don’t know the name nor can we confirm if it’s a cool place to hang out. Instead you should check out Turtle Bar. It just won Kunming’s Bar of the Year and our buddy Sean is a manager (the dude DJ’ing two photos down). Tell him Rachel and Sasha sent you! Moondog; a great dive bar. Mask; a great place to see music. Well there you have it. 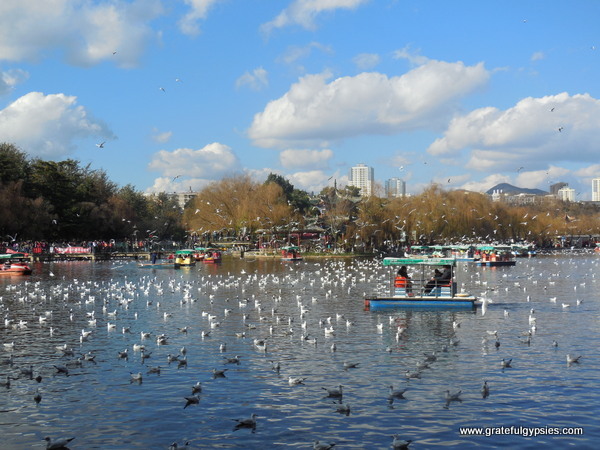 Our top 10 things to do in and around Kunming. Check out Sasha’s video below! If you have any questions don’t hesitate to contact us.